If you plan on doing the whole Camino de Santiago—actually a bit of a myth as there is no such thing as doing "the whole" Camino—then there are two main starting points: Roncesvalles, the first town in Spain, or St Jean Pied de Port, the last town in France. Starting from St Jean Pied de Port extends your pilgrimage by a day. Many prefer to start in St Jean rather than in Roncesvalles, particularly if they plan on doing the Camino de Finistere after reaching Santiago, as it means they can say they've crossed the entire width of Spain from the French border to the Atlantic coast. Yet another reason for starting in St Jean is that it is well connected to several destinations in France, while your journey will be a little more difficult if you are starting in Spain. From Bayonne: There is a direct train from Bayonne to St Jean Pied de Port. From Biarritz: You can take a bus from Biarritz to Bayonne (either from the city center or straight from the airport) and then take the train from Bayonne to St Jean Pied de Port. From Hendaye or Irun: Take a train from Hendaye to Bayonne and then another train from Bayonne to St Jean Pied de Port. From Irun, walk across the border to Hendaye. From San Sebastián: Take a Euskotren (local train service) to Hendaye (just on the other side of the French border. 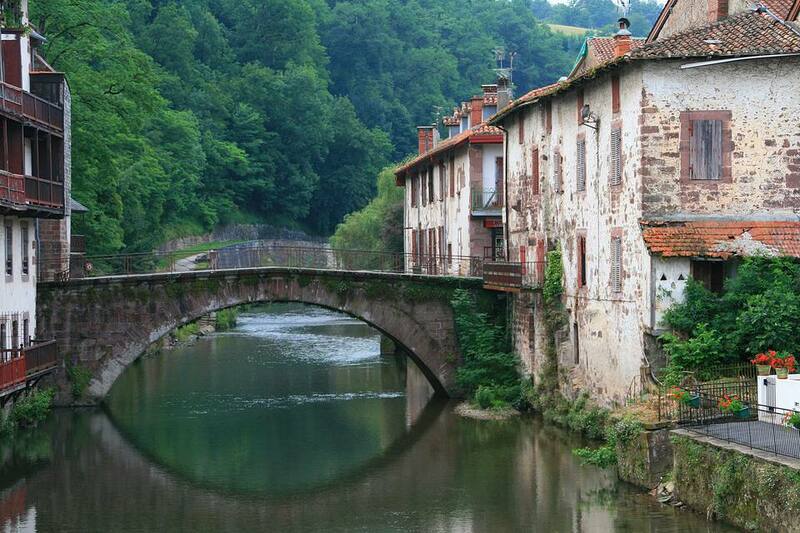 Then take a train to Bayonne and then another train to St Jean Pied de Port. This sounds difficult but all parts of the trip are short. From Bilbao: Take a bus from Bilbao to San Sebastián and then follow the above directions from San Sebastián to St Jean Pied de Port. Alternatively, go to Pamplona and follow directions from there. From Zaragoza: Go to San Sebastián and follow directions from those cities. From Barcelona: Go to San Sebastián and follow directions from those cities. From Madrid: Go to San Sebastián and follow directions from there. As both Roncesvalles and Pamplona are on the Camino de Santiago, you probably won't want to start from here as it requires you to backtrack along the route you're intending on taking. From Roncesvalles: You have to take a taxi from Roncesvalles to St Jean Pied de Port. Some people hitch-hike this part of the trip. From Pamplona: Take a bus from Pamplona to Roncesvalles and then a taxi to St Jean Pied de Port. To avoid the taxi option, go the long way around, heading to San Sebastián and following the directions from there. How Long Does Spain's Camino de Santiago Take?